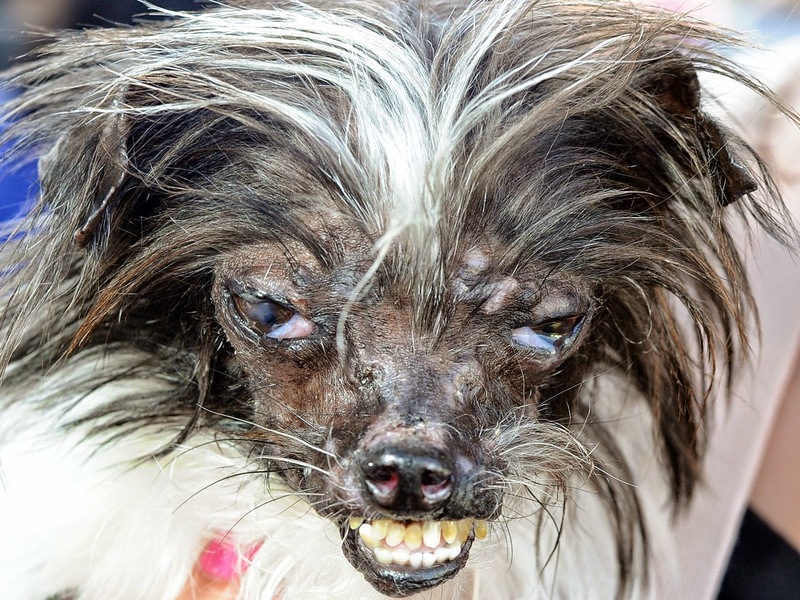 PETALUMA, Calif. - It's that time of year again when dogs with unusually large heads, hairless bodies and other oddities compete to be the World's Ugliest Dog. This year's winner? A 2-year-old mutt named Peanut, whose wild white and brown hair, bulging eyes and protruding teeth belie his sweet, energetic personality. Peanut's owner, Holly Chandler of Greenville, North Carolina, says he was seriously burned as a puppy and she wants to use her pet to raise awareness about animal abuse.